Liang pleaded guilty to conspiracy to defraud the U.S., commit wire fraud and violate the Clean Air Act. WASHINGTON -- A Volkswagen engineer pleaded guilty in a U.S. court for his role in rigging emissions software on 2.0-liter diesels sold in the U.S., marking the first criminal charge in the U.S. government’s probe into the VW scandal. The engineer, James Robert Liang, was named in a grand jury indictment filed in U.S. District Court in Detroit in June that was unsealed on Friday. 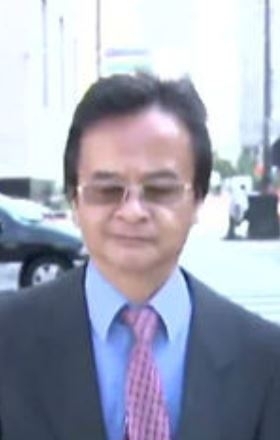 Liang pleaded guilty to one count of conspiracy to defraud the United States, commit wire fraud and violate the Clean Air Act. The Justice Department said in a statement that Liang has agreed to cooperate with the government in its ongoing VW investigation as part of his plea agreement. This could increase pressure on higher-ranking officials of the German automaker. In a statement and in court documents, the Justice Department provided the most detailed narrative to date about the origins of VW’s diesel emissions violations, including excerpts of revealing emails sent among VW engineers amid scrutiny from regulators before the diesel cheating became public last fall. Liang "is coming here to Detroit today to accept responsibility for his actions," his lawyer, Daniel Nixon, told Bloomberg. "He is remorseful." VW declined to comment on Liang’s indictment and said the company continues to cooperate with the Justice Department. The information Liang is providing to prosecutors could speed the investigation of the company. Settlement talks in the criminal matter could be resolved by the end of the year, two people familiar with the probe, told Bloomberg. Germany and South Korea are conducting separate criminal probes of the company. From the fall of 2006 through September 2015, "Liang and his co-conspirators, including current and former employees, and others, agreed to defraud the U.S. and VW customers, and violate the Clean Air Act, by misleading the U.S. and VW customers about whether VW diesel motors complied with U.S. emissions standards," prosecutors said in the indictment. According to the documents, Liang was on the team that developed the EA 189 2.0-liter diesel at the center of VW's emissions scandal. Liang, a VW employee since 1983, began working on the EA189 engine in 2006 while at Volkswagen's diesel engine development department at the automaker's headquarters in Wolfsburg, Germany. Liang and "co-conspirators" working on the engine soon realized it would not meet stricter U.S. limits on nitrogen oxide emissions that took effect in 2007 while also attracting "sufficient customer demand," Liang's indictment said. In turn, Liang and his co-conspirators developed and installed the "defeat device" software to cheat on U.S. emissions tests, the indictment said. The software recognizes when a vehicle is undergoing lab testing and limits nitrogen oxide emissions to artificially-low levels in order comply with U.S. standards. The software would eventually be used on all of the nearly 500,000 2.0-liter diesel engines sold by VW in the U.S. market from 2009-2015, the Justice Department said. Liang moved to the United States in 2008 to help launch the new "clean diesel" engine in the U.S. market and was VW’s "Leader of Diesel Compliance" while working at the company's testing facility in Oxnard, Calif., west of Los Angeles, prosecutors said. Liang admitted to attending meetings between personnel from VW in Germany and its U.S. operation and officials from the EPA and California's Air Resources Board for certifications from the regulators to sell the diesels in the U.S. market, the Justice Department said. In those meetings, VW personnel hid the existence of the defeat device software and claimed that the diesels complied with U.S. emissions standards, the government said in its statement. In one such meeting, Liang and other VW personnel met March 19, 2007, with EPA officials in Ann Arbor, Mich., where the agency has its emissions testing lab. Liang and others from VW described software functions of the EA 189 engine that affected emissions controls but concealed the existence of the cheat software from the EPA, according to the indictment. Liang and VW personnel also concealed the cheat software from CARB in a meeting just days later in El Monte, Calif., the indictment said. VW continued to "falsely and fraudulently certify to EPA and CARB" that VW's diesel vehicles complied with U.S. emissions standards and the Clean Air Act, the Justice Department said. Liange also admitted that he and others at VW falsely marketed the 2.0-liter diesel engines as "clean diesel" and environmentally-friendly, the government said. As part of his guilty plea, Liang admitted to helping "his co-conspirators continue to lie to the EPA, CARB and VW customers even after the regulatory agencies started raising questions," the Justice Department said. As vehicles equipped with the cheat software aged, they saw elevated rates of warranty claims related to the emissions control, according to the indictment. In 2014, Liang and others involved issued a software update for the diesels that claimed to be "intended to improve the vehicle," according to the indictment. In fact, the update altered the cheat software to use the angle of the steering wheel to more easily detect when it was undergoing official testing, "thereby improving the defeat device’s precision" as a way to reduce stress on the emissions control systems, according to the indictment. VW managed to conceal on-road NOx emissions that were far above permissible levels in its diesels until March 2014, when West Virginia University published a study showing NOx emissions of three VW diesels significantly exceeded U.S. standards. The findings prompted CARB and EPA officials to probe the cause of the excess emissions and press VW for answers. Liang and others attempted to blame the excess emissions on "innocent mechanical and technological problems" while "secretly knowing" that the cheat software was the culprit, according to the indictment. The indictment also contains excerpt from emails between Liang and other VW employees exchanged as scrutiny from regulators increased in 2015 before the EPA announced VW’s malfeasance in September. In April 2015, after a recall to update the diesel vehicle's emissions software failed to fully address the excess emissions, Liang was copied on an email sent by another VW employee who said in German, "we 'only need a plausible explanation' as to why the emissions are still high!!!" According to the indictment, Liang was copied on another email in June 2015 with the subject line "[C]ARB Status" in which a VW employee wrote, also in German, "We must be sure to prevent the authority from testing the Gen1," referring to the EA 189 diesel engine. The email continued "If the Gen 1 goes onto the roller at the CARB, then we will have nothing more to laugh about!!!!!"